Knockan is a restored croft house, retaining much of its original character while providing a high standard of comfort. It stands in its own fenced grounds surrounded by open moorland. Check the blackshouse website for availability, costs & booking. Check the blackshouse website for availability, costs p/w and booking. A rocky seashore with rock pools and lots of wildlife, including seals and otters, is just down the road, and within a few miles there are many magnificent beaches. Ferry for Iona and Staff only 8 miles away. For availability, detailed charges, booking etc. click on the blackshouse website link. Mull is wonderfully varied with terrain ranging from benign heaths and machairs decked with wild flowers to rugged sea cliffs and mountains, most of it unspoiled and with the wildlife to match. Deer, mountain goats, smaller animals and unbelievably large numbers of bird species, including golden eagles and sea eagles can be seen. In fact Mull is known as Scotland's eagle island. Walkers, geologists, birdwatchers and botanists love Mull. There is much of historical and archaeological interest on Mull, including a Da Vinci connection (honestly! Click on the website link below), while Iona is only a few miles away. 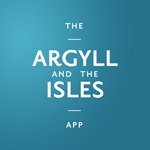 From Iona Ferry, you can sail to Staffa and the Treshnish Isles bird sanctuary where you can see puffins, guillemot, razorbills, kittiwake and may more species of seabird. Nowhere sparkles with more freshness, something which enchanted the famous Scottish Colourist school of painters and on a clear night, away from the light and air pollution of the city, you can see for ever, with the help of some of Knockan's stargazing equipment and information. If it is action you are after, there is golf (at Iona, Craignure or Tobermory), pony trekking, sailing, fishing, mountain biking and hill walking (Mull has one Munro Ben More and one Corbett Dun da Gaoth, so if you are bagging these you HAVE TO come to Mull), rock-climbing and when you're tired of these, you may be able to take in a ceilidh in the village hall, or visit the famous Mull Little Theatre. (For more information, visit the blackshouse website.) Or maybe what you really want is to relax in exquisitely peaceful surroundings away from the treadmill. If so, Knockan is for you. Unfortunately, TripAdvisor reviews for Knockan have not been added to this listing, or the information is not currently available.